even they are closed already. 150 kb size of wallpaper. but we want 50 mb for my p990i. 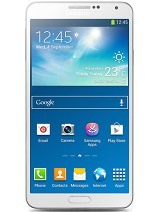 just in a a couple of days ,i plan to own this phone...i made lotsa research on the phone and feel this is worth it. just one clarification, on the speaker. hows the voice and clarity. Is it clearn perfect..
any comments on this please !!!!!!!! 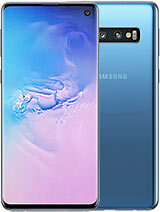 im planning to buy this fone next week.. pls help me to decide by giving me the advantages and disadvantages of this fone for those who have gone far with this fone..tnx a lot.im from philippines..
To: Shaheer Iqbal - P990i has no capability to record calls. I don't know if there's a third party application to make this possible like NOKIA phones. is it similar with the earplugs being used in w800? coz im currently using the earplugs from my w800 both in my k800 and p990i.. hope this helps..
Its an All in One Device. thanks, bro. went to the link you gave me. got it and downloaded the latest zip file. got the flash player installed successfully but the results are the same. i still cant run the update service. it still says i don't have a compatible flash player. what gives? anyone out there, pls help. thanks a lot! I have a problem. Have a P990i, when I try to put the camera on in multimedia, then I open the lens cover, the phone swithces to initializing then it goes off. there is a command that says your phone has been restarted to improve performance. I have to restart the phone all over again. please what is my problem, do i need software upgrades? -1. download PC SUITE or it came with installation CD and install it to your computer so that the computer can see your phone. -2.download UPDATE SERVICE at SE or http://www.zolved.com/synapse/...e_Service_IIand­­ install it to your computer. Open the UPDATE SERVICE. Follow onscreen directions. -Make sure to backup your stuff from the phone even your phone contacts. The update service takes about 10 mins. to fix your phone issues. I don't think SE will coming out anymore updates. They fixed most of the bugs already. Good luck to you. Thanks for helping each others out. You can download recorder software "ALON Audio Recorder" and other applications/games on the link below for free. Make sure to register. I have been trying to sync my P990i to my Outlook. All the software is installed and it is fine for calendar and task but I have a real problem with my "Contacts". My contacts copy from my phone and my Outlook contacts and keep doubling up and multiplying up everytime I sync. Therefore every contact is in my phone 4 times and x8 in Outlook! All I want is for my phone or Outlook to have the contact in once and then update whenever there is a change, in either place? This has worked before and worked fine but now something has gone wrong. Has anyone else had this and knows how to fix it? Emailed SE a month ago but no reply. Isit symbian phone can support microsoft office? how bout pdf file format? Ms windows media player?